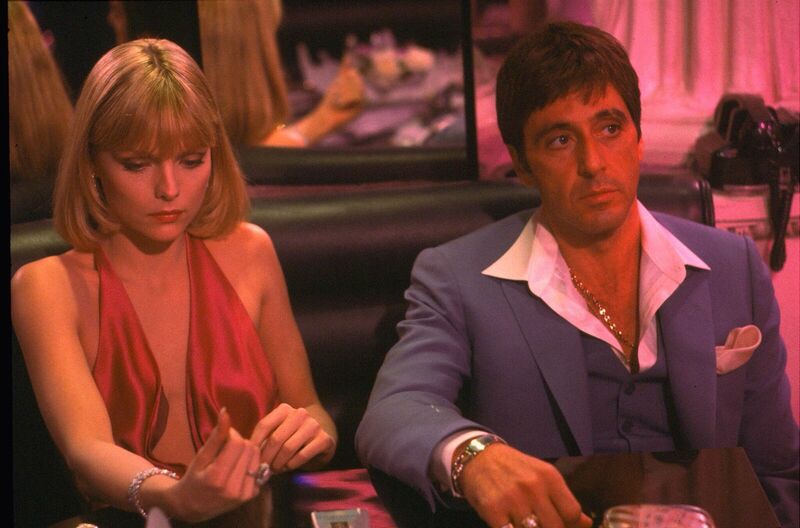 Universal Pictures, Screenvision Media, and Tribeca Film Festival announced today the return of Scarface to movie theatres nationwide, in celebration of its 35th anniversary. Additionally, film fans outside of New York will have the chance to participate in a Tribeca Film Festival retrospective event on the big screen for the first time ever. As part of the 35th-anniversary celebrations, moviegoers are invited to watch the cult classic film followed by the Tribeca Film Festival post-screening conversation, during which Scarface director Brian De Palma, along with actors Al Pacino, Michelle Pfeiffer, and Steven Bauer reunited to discuss the film and its lasting impact. Screenings will take place at select theatres in top cities nationwide such as New York, Los Angeles, Chicago, Philadelphia, and Dallas on June 10, 11, and 13. Brian De Palma’s modernization of Howard Hawks’ 1932 classic Scarface is a somber consideration for the humanizing motives of evil men. The film received three Golden Globe nominations and remains one of the most referenced films in pop culture. Al Pacino helped garner a huge cult following for the film after delivering one of his riskiest performance in this career-defining role.